CASTLE 240/280RGB featured brand new water-block comes with double window panes and an immersive ambient lighting design which provides a perfect display of aesthetic illumination. Furthermore, 16.7M true color lighting system comes in 5 built-in effects (dynamic, static, breathing, comet, and fashion collision) and with 36 interchangeable lighting modes. 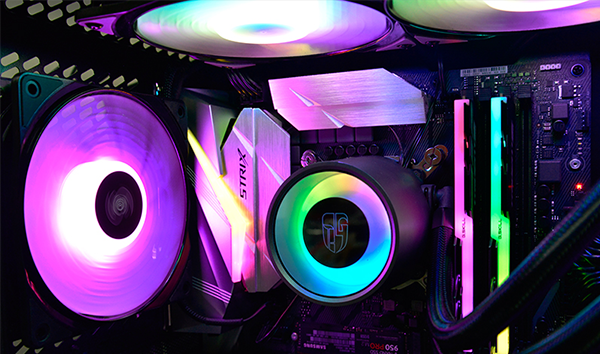 The synchronized RGB lighting system of water blocks and fans can be easily controlled by a wired controller (included) or the addressable RGB function via the motherboard. 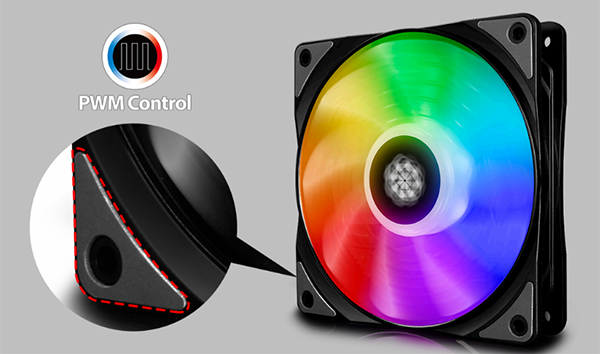 Comes with the latest 120mm RGB case fans provide a flowing lighting effect, designed for builders with addressable RGB-enabled PCs to match your system's style perfectly, meanwhile exhaustive damping technologies successfully minimize noise while maximizing airflow. 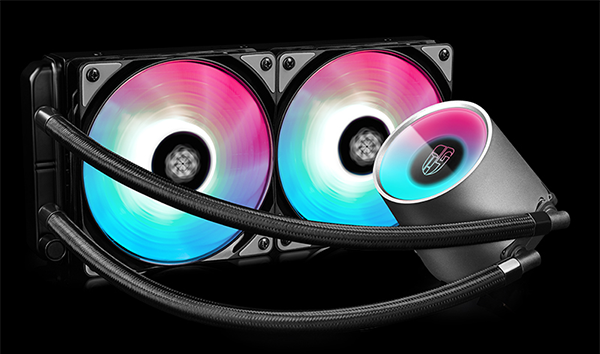 Equipped with the ultra-large, pure copper CPU block and optimized E-shaped micro water channel, CASTLE 240/280RGB effectively enhance heat circulation, and hence meeting users' needs for high performance and aesthetics. Especially Castle RGB series seamlessly supports the TR4/AM4 and mainstream Intel & AMD socket types.